This is our another play ground CAD drawing from dwg net .com. This Volleyball Court Layout CAD Drawing is with standard dimension. ( Length 18 m and width 9 m) You can use this drawing for make your Volleyball Court / play ground. 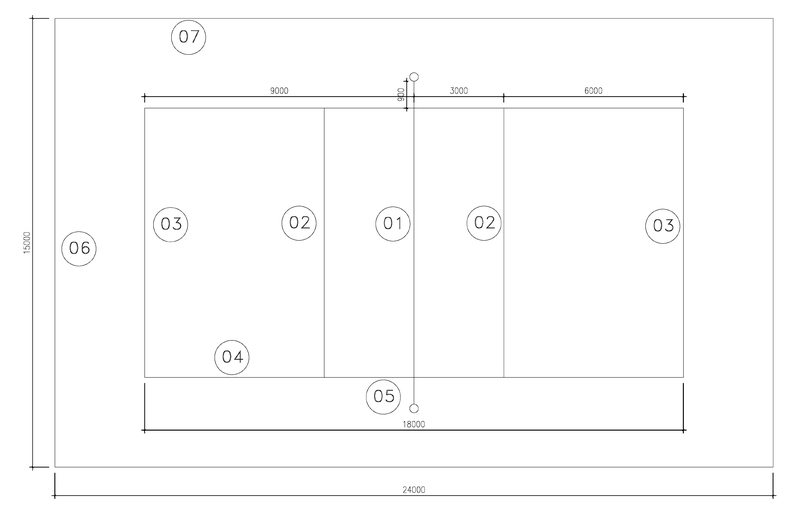 We hope this CAD Drawing will also be useful for you. This Volleyball Court Layout Auto CAD drawing can be used in a wide range of versions (from 2004 version to latest versions). If you want to convert this court, please leave a comment on our page. otherwise contact us. We are hoping to fulfill all your requirements. So you can free download your selected CAD file using below link.